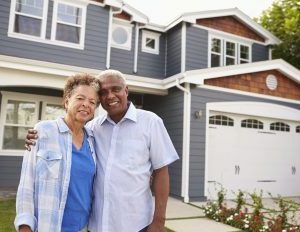 Millions of retirees continue to figure out how to live comfortably during their post-career years–a situation particularly challenging for large numbers of African Americans. In fact, last year The Urban Institute reported that the average African American family has $19,000 in liquid retirement savings, versus $130,000 for the average white family. So many retirees will be forced to find creative ways to supplement their savings and create financial security in their golden years. One strategy our editors have reviewed is how to take advantage of the burgeoning sharing economy. Retired property owners should seriously consider home sharing. Earlier this month, I participated in a Brooklyn, New York-based town hall session, “Home Sharing: The Airbnb Effect,â€ sponsored by Medgar Evers College School of Business, Flateau Realty Corp., and Bed-Stuy Gateway Business Improvement District (BSGBID). Although the panel I moderated was designed for any homeowner who wanted to gain information on financial and legal requirements of becoming a host, I found the session could help pre-retirees, as well as those who have already left the workforce, to produce supplemental income. 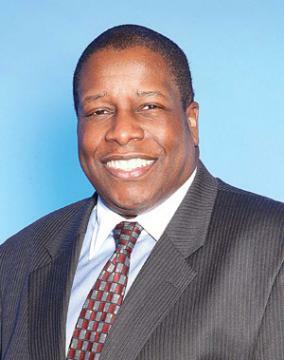 According to Robert Cornegy, a Brooklyn councilman and one of the panelists, more than 1,000 households serve as Airbnb hosts within his district, including Bedford-Stuyvesant and northern areas of Crown Heights. Although not the only avenue to home-sharing, Airbnb, the San Francisco-based home-sharing platform, valued at more than $25 billion, has become a dominant force in the hospitality sector, according to the website Skift. A recent Pew Research Center report, Shared, Collaborative and On Demand: The New Digital Economy, found 72% of American adults have used at least one of 11 different shared or on-demand services; one in five have used four or more of these services, and 7% have used six or more. When looking specifically at the usage of home-sharing platforms like Airbnb, HomeAway, or VRBO, however, the study revealed that only 11% of American adults have used them to stay overnight in a private residence, meaning 89% of Americans have yet to stay in an Airbnb or similar peer-to-peer accommodation. Another 37% are familiar with these services, but 53% haven’t even heard of them before. The Pew study also delivered insight on individuals who engage in these platforms, how they use them, and how they feel about them. Roughly 13% of white Americans are more likely to use a home-sharing service, versus 5% of African Americans. The study doesn’t suggest any reason as to why whites are more prone to stay at an Airbnb than African Americans, but the release of this information did coincide with a rise in allegations related to racial discrimination, and the evolution of #AirbnbWhileBlack. Such actions have given rise to black-owned platforms, like Noirbnb. So what does all this mean? Retirees have now gained the option of using their properties to boost income, beyond tapping their 401ks and other savings vehicles. Some individuals have been able to make as much as an additional $2,500 a month or more, says Al Florant, marketing manager for Flateau Realty. It’s critical that you fully understand the rules and regulations related to home-sharing. Although I will focus on Brooklyn, the following information can prove helpful for guiding retirees to explore such ventures in other localities. One of my panelists, real estate attorney Yvette A. Hinds Wills, says hosts should be clear on the legal ins and outs. “The real question is whether Airbnb is something that will work for you,” she maintains.”First of all, in the year 2010, New York state’s Multiple Dwelling Registration Law was amended [to clarify] what you can do. In a building that has three or more units, it is illegal to rent that entire apartment for less than 30 days. That is why the New York State Attorney General commented that over 75% of home-sharing [operations] in New York are being done illegally.” She states, however, that short-term rentals are permitted in one or two-family dwellings, whether the owner is present or not. Be aware of new laws that impact the sharing economy. Earlier this week, Reuters reported that the New York Senate passed legislation prohibiting Airbnb hosts from listing some short-term rentals. If enacted, individuals posting these listings could be hit with fines as high as $7,500. The bill is reportedly on the desk of New York Gov. Andrew Cuomo, who could choose to sign it, exercise his veto power, or let it become law without his signature. Cornegy counsels hosts to gain as much knowledge as possible on potential legislative and regulatory threats. In fact, he maintained that a number of local representatives and regulators have been resistant to home-sharing, viewing the practice as akin to operating illegal hotels in violation of zoning laws–a similar position held by much of the hotel industry. Once you have cleared legal and political hurdles, I asked another panelist, Ashley Warmington, CEO of Cozy Oasis, a management and concierge company, what’s needed to get ready for an Airbnb rental. What are the expected expenses? Since home-sharing has helped spur tourism, he says existing businesses have gained an influx of additional customers, and new services and institutions have sprouted within the community. Retirees can clearly gain from this emerging ecosystem.